GoVision, provider of large-scale LED video displays and related services, hosted its Chicago Product Display on Tuesday, August 29. The event, held at Guaranteed Rate Field, home of the Chicago White Sox, showed off the company’s array of LED displays and creative content services. 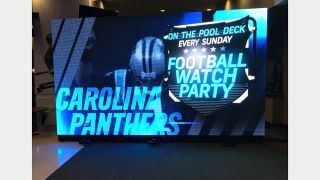 In addition to the lightweight LED displays, GoVision also showed off its content creation abilities using samples from The Ryder Cup, NFL Football Watch Parties and the Omni Hotel.